Three young rising stars from Plymouth proudly wore the three lions England badge on their waistcoats at the new, combined West of England Billiards & Snooker Silver & Plymouth Bronze Waistcoat tournament. Dan Legassick, Chris Coumbe and Haydon Pinhey all fought hard against players from around the region and it was the youngest, Dan Legassick that came out on top to beat Tom Vanstone 2-1 in a closely fought final. Legassick took the first frame on the black only for Vanstone to level the match at 1-1. After a long day it was Legassick that dug the deepest to pot his way to a win in the deciding frame and at just 13 he leads both the Silver and Plymouth Bronze ranking tables. In the semi’s Legassick beat Michael Rogers from Taunton 2-0 with Vanstone beat an in-form Adam Lewin by the same scoreline. Reigning Silver champion Jake Stewart, from Cornwall, had his rich vein of form come to an end in the quarter finals when Rogers beat him 2-0 as did the under 15’s Cornish champion Brett Broad who was stopped in his tracks by a Legassick potting demolition. Joe Murray (Plymouth) played really well to get close to beating Lewin before losing 2-1 as did Haydon Pinhey who lost in another tight contest against Vanstone. The group stages produced all the breaks, Rogers won group A on frame count-back over Vanstone, Rogers made breaks of 48,44,40 & 34 whilst the former made breaks of 47, 41 and the best of the day a fine 65. Lewin had a 55 break and finished in third place with Pinhey qualifying fourth with his usual barrage of modest breaks (35,32,26,25,24,24 and a 22 clearance). Non qualifiers being Tom Rowley, Aiden Johns and Junior English Billiards International Chris Coumbe who made breaks of 20,21,24 & 38. Not so many breaks in group B where Legassick finished top on frame count-back over Stewart in second, the latter posting breaks of 34,35 & 54. Three players tied for third place with Murray and Broad taking the final qualifying spots finishing third and forth respectively. Cody Hall and Carl Mitchell just missed out and have to fight another day. The tournament was hosted and sponsered by Rileys and Baulkline Snooker South West. Tournament Director, Steve Brookshaw, commented “Judging by the performances here today the decision to combine the Plymouth Bronze with the Silver Waistcoat looks to have paid dividends helping the younger players step up a level”. Michael Rogers is one of several West of England Billiards & Snooker Foundation rising stars that spends a considerable amount of money traveling the country to compete in junior events on a regular basis. His efforts where rewarded recently when he received prize money by wining event two of the WEBSF Silver Waistcoat Tour. In the final Rogers beat Steven Hull from Cornwall who reached the final at his first attempt this season. Rogers was in tremendous match winning form, wining all but one of his matches 2-0 on the day. In the quarter and semi finals Rogers beat two Plymouth lads, Tom Vanstone and Adam Lewin. In the other half of the knock-out Hull beat International Haydon Pinhey (Plymouth) and one of the tour favorites, Jake Stewart (Cornwall) 2-1 and 2-0 respectively. In the other quarter final clashes the last event winner, International Dan Legassick, lost 2-0 to Stewart and Vanstone beat another International from Plymouth Chris Coumbe 2-1. Legassick topped group A with breaks of 30,31,33 & 41 and losing just one match to Pinhey. Coumbe matched Legassick on matches won but came second on frames against. Lewin and Pinhey the other qualifiers from this group. Stewart and Rogers dominated group B Stewart making breaks of 31,40,41 & 48 and Rogers 43,42,41 and the best on the day 53. Hull and Vanstone the final two to qualify. After two tournaments the ranking tables are starting to take shape with Rogers taking the lead over Legassick in both the Silver and the Bronze. Tournament Director, Steve Brookshaw, said “The lads have put on another good display of snooker here today and the excellent manner in which they accept victory and defeat speaks volumes”. 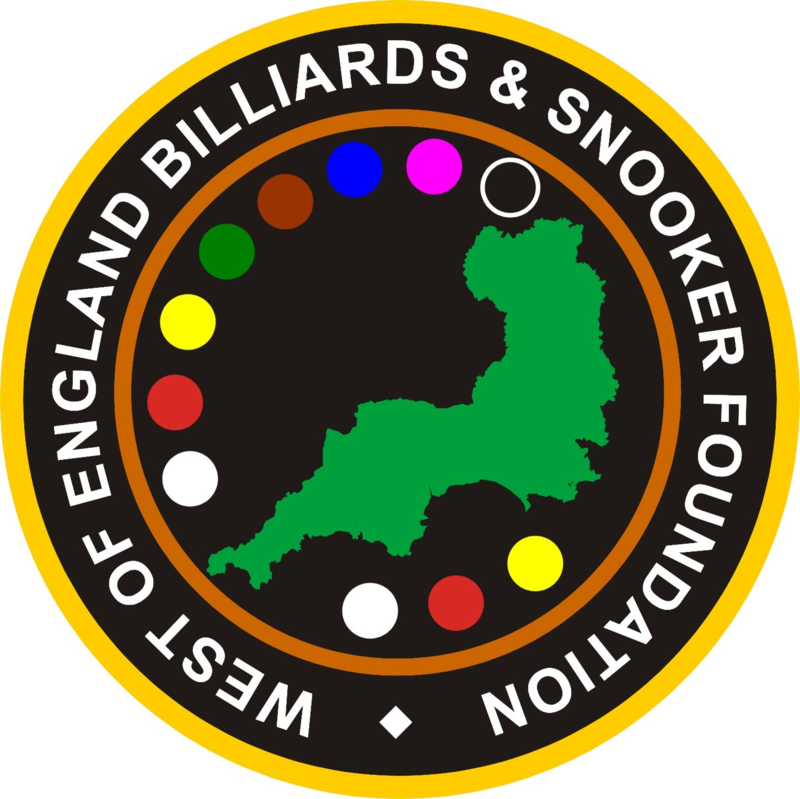 Details of this tour and other tournaments which are organised by the West of England Billiards & Snooker Foundation can be found on http://www.websfsnooker.pom. With Somerset star Michael Rogers not in the line-up this month the West of England Billiards & Snooker Foundation’s Silver Waistcoat top spot was up for grabs. It was Jake Stewart that took full advantage with impressive performances throughout the day. In the final he beat Adam Lewin from Plymouth 2-0. Lewin is another developing talent emerging from the WEBSF Coaching School, in the quarter’s he beat Brett Broad (Cornwall) 2-0 and had a great 2-1 win over established Silver player, Tom Vanstone in the semi’s before coming up against an in-form Stewart in the final. Stewart came across resistance in the quarters when fellow Cornishman Carl Mitchell made a 42 break. However, this did not prevent Stewart from winning 2-0. In the semi’s Stewart had to overcome International Dan Legassick, this he did with a 2-0 win. In the remaining quarter final matches Lewin edged past Cody Hall 2-1 and Legassick beat Aiden Johns 2-0. Vanstone won group A winning 4 out of 5 matches. Legassick finished in second place after a shaky start edging Hall into third place. The fourth qualifying place went to Lewin who beat Tom Rowley from Ivybridge on frame count-back. In group B Stewart was dominant, winning all of his matches posting breaks of 29,58,75 and the best break of the series thus far a superb 80. Mitchell was clear in second place leaving the two final qualifying places to be decided between Johns, Jamie Edwards (Redruth) and Chris Coumbe (Plymouth). The latter lost out on frame difference. After last playing in the Silver Waistcoat tournament two season ago, when he won the overall title, Mitchell Grinsted (Plymouth) returned to take event four with ease. With just two events to go Grinsted’s win makes it four different event winners and a closely fought run-in to determine the overall winner. In the final Haydon Pinhey, also from Plymouth, played well to level the frame score before Grinsted used his experience to win the decider. Tom Kevern, who has also been missing from the Silver Waistcoat line-up of late, was in excellent form all day and Grinsted had to make a 72 break to win through 2-1. In the other semi final Pinhey beat fellow England International Dan Legassick 2-0. Legassick beat yet another England player Chris Coumbe 2-0 in the quarter finals as did Pinhey beat Tom Vanstone and Kevern beat Cornwall’s Jake Stewart by the same score line. In the last quarter final Joe Murray made Grinsted fight for his 2-1 win. In the group stages Grinsted dominated his group without losing a frame. He made breaks of 67 & 46 (twice) to qualify for the knock-out stage. Second place went to Stewart, who made a very nice 87 break. Legassick and Vanstone finish third and fourth respectively. Groups B saw Kevern make a plethora of breaks 51,56,42,38 and the best of the day, a smashing 93 trouncing all before him with the exception of Pinhey, to take the second qualifying place. Third place went to Murray on frame count-back over Coumbe who qualified in fourth place. Dan Legassick strengthens his position at the top of both the regional Silver and Plymouth Bronze Waistcoat rankings following a second event win. A new crop of players from the Torbay area turned up to play in this event and made an immediate impact with Chay Mearns taking Legassick to the deciding frame in the final. Mearns beat International Haydon Pinhey 2-1 in the semi final whilst Legassick edged past title contender Tom Vanstone in the other semi. In the quarter finals Vanstone beat Billiards International Chris Coumbe 2-0 whilst Legassick beat newcomer Lee McArthur by the same score. Mearns beat another favourite for the overall title Jake Stewart 2-0, Mearns posting a 44 break in the process. Pinhey, aided by a 44 break, beat Lewis Colclough 2-0. In group A it was business as usual for Stewart as he made light work of beating all-comers without losing a frame and posting breaks of 43,44 & 53. Second qualifying place went to Colclough who got through on frame count-back over Chris Hobson. Colclough made the best break of the day, a fine 58 which proved to be a personal best, he also had a 38. Group B was fought out be big guns Legassick and Vanstone, Vanstone getting first spot on frame count-back. Legassick made breaks of 32 & 49, Vanstone 32, and Brett Broad two breaks of 34. Group C proved really close with Coumbe taking the top spot over Pinhey on frame difference. Pinhey the only break maker in this group with two 20 plus breaks. There where three newbies from Torbay in group D which was topped by Mearns who posted breaks of 41 & 45. Second qualifying place went to McArthur who had a 23. Adam Lewin also made a 30 break. Michael Rogers from Taunton won the final Combined Silver & Plymouth Bronze Waistcoat tournament of the season beating Haydon Pinhey from Plymouth in the final. However, the overall Silver Waistcoat Champion is Dan Legassick, Plymouth who came through as the most consistent player wining two events. This was enough to remain ahead of the field at the top of the rankings. Jake Stewart from Cornwall was overall runner-up and Tom Vanstone, Plymouth placed third. Legassick doubled up by finishing top of the Bronze Waistcoat rankings to take the Bronze Waistcoat title ahead of Haydon Pinhey and Michael Rogers. The remaining results of the final event saw Brett Broad continue to play well to get to the semi final before losing to Pinhey whilst Rogers beat Stewart in the other semi. In the quarters Pinhey beat Peter Beckwith, Broad had a great win over Vanstone, Rogers beat Lewis Colclough and Stewart edged out Carl Mitchell, Cornwall. Rogers went undefeated in group A posting a 50 break. Vanstone finished second aided by a 44 break. Legassick failed to qualify for once and had to watch and see if he had done enough to win the overall title. Group B brought forth the most breaks, Pinhey leading the way with breaks of 23,30,30,31,47 & 50. Close behind was Stewart with breaks of 35 & 51. Mitchell topped group C without dropping a frame with Beckwith taking the other qualifying place. Group D prove the most closely fought contest of the day with Broad wining on frame count-back against Colclough (32 break) in second place and Lee McArthur just losing out on a qualifying place this time.